Someday I'll Sleep Autism Blogs: Head Covering of the Week.. A New Favorite Blog... And A Moving Update! Head Covering of the Week.. A New Favorite Blog... And A Moving Update! 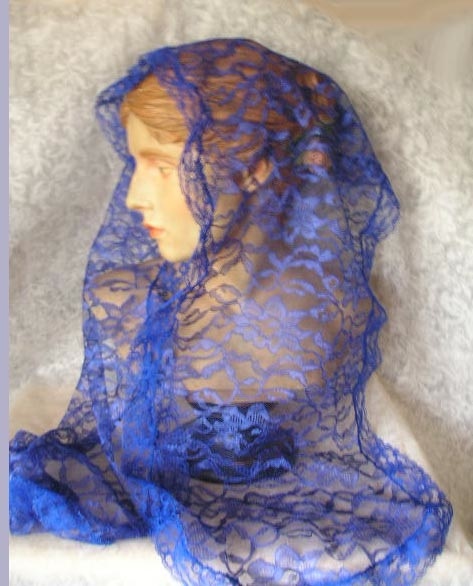 I love this veil! I'm not sure that I would wear it because it's so bright! But I love still love it! I also have really been enjoying the new blog that I discovered. It is the Archdiocese of Washington's blog and I've been spending the last few minutes when I should be rushing to start packing up our clothes, reading Msgr. Charles Pope's posts! He has one on headcovering that is very interesting and informative and another on attire in Church. thanks for the blog. It was very good to read.